Attorney Karen Persis enjoys representing couples and individuals in matters involving assisted reproductive technology law, family formation, and adoption. She is a detail-oriented attorney and a problem solver who provides cost-effective results for her clients. Karen represents Intended Parents in assisted reproductive technology law matters such as gestational carrier agreements, traditional surrogacy agreements, pre-planned adoptions, second parent adoptions, step-parent adoptions, and gamete donation, such as egg donation, sperm donation, or embryo donation. Karen Persis also represents surrogates and donors in the review and negotiation of contracts. Additionally, Ms. Persis helps individuals and couples in private adoption matters. 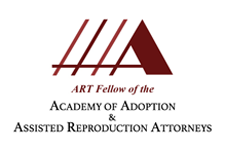 Karen Persis is an ART Fellow with the Academy of Adoption and Assisted Reproduction Attorneys (formerly known as AAARTA). She was awarded with the Orange County Bar Association’s prestigious Lawrence G. Mathews, Jr. Young Professionalism Award in 2017. She was selected for inclusion in the Best Lawyers in America in 2019. From 2010-2019 Ms. Persis was selected as a Florida Rising Star, a distinction awarded to no more than 2.5% of the lawyers under the age of 40 in Florida. She also was selected as a Florida Trend Legal Elite Up and Comer in 2017 and 2014. Karen is AV Preeminent Peer Review Rated by Martindale-Hubbell. Orlando Style Magazine has named her as the No. 1 Rising Star in Family Law (Nov. 2015 issue). She served as President of the Young Lawyers Section of the Orange County Bar Association from 2014-2015, and also currently represents the Ninth Circuit as a Governor for The Florida Bar Association Young Lawyers Division Board of Governors. She is a member of the ABA committee on Assisted Reproductive Technology, RESOLVE, the American Society for Reproductive Medicine (“ASRM”) and the Society for Ethics in Egg Donation and Surrogacy (“SEEDS”). Karen Persis attended the University of Florida, where she majored in journalism with an outside concentration in women’s studies. She graduated in the top 5% of her class and was named to the University of Florida Hall of Fame. Karen attended the University of Florida Levin College of Law on a merit-based scholarship, and in 2004, she graduated in the top 10% of her class. After graduation, Karen moved to Washington, D.C., after winning a Fellowship with the Women’s Research and Education Institute. There, she drafted and analyzed legislation relating to women’s issues. When the fellowship concluded, Karen Persis moved to Orlando to practice law at a large, prestigious law firm, where she worked as an associate for five years. Karen worked on cases involving class actions, construction litigation, environmental contamination, family law, business torts, contract disputes, and employment law. She then worked as an associate at a boutique firm specializing in the representation of financial institutions. Ms. Persis opened up her own firm at the end of 2012. Karen has practiced law in 16 of the 20 judicial circuits in Florida, the Fifth District Court of Appeal, and the United States District Court for the Middle District of Florida. She has also been admitted to practice before the United States Supreme Court.